The painting here is entitled "Wetlands". It was purchased by a family in Seattle, WA. Peggy is a career and life coach who was inspired to begin developing and showing her artwork 15 years ago. 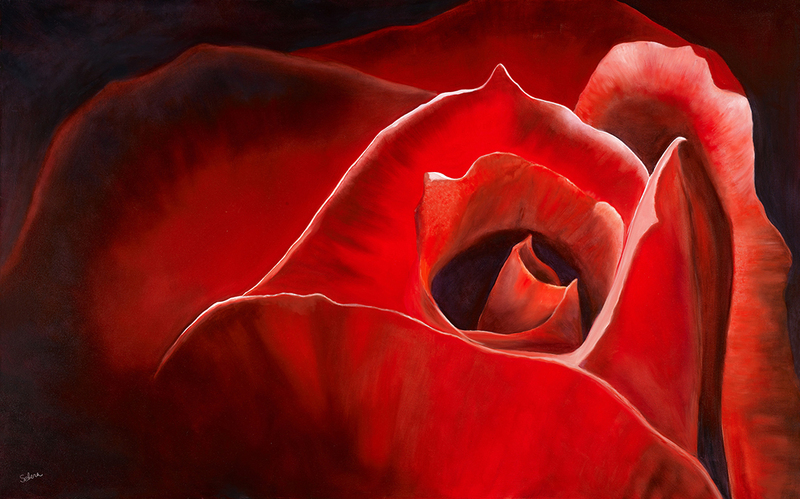 She has applied the coaching skills, which she uses with clients, to develop a second career as an artist. Her passion for the earth and the fullness of nature has been the center of her inspiration. Peggy’s colorful oil paintings are often of the landscapes of Northern California, Hawaii and Europe, painting "en plein aire" (outdoors in the fashion of Monnet and Van Gogh). “I love the earth and all its colors, shadows and shapes. As a young girl I spent hours in nature just observing and climbing high up in the trees to see the movement of the sun and gaze at the constellations. Now, wherever I travel for work or pleasure, I stop often to paint or take photos of the blue or gray skies, the vineyards, the ocean, and the flowers! I am enlivened when standing before 5 foot canvases, larger than life. I love the feeling of being "in" the scene, when I paint large. It is as if I were in that very setting as I paint. Peggy enjoys bringnig to life the vision that you have for your own art wall. 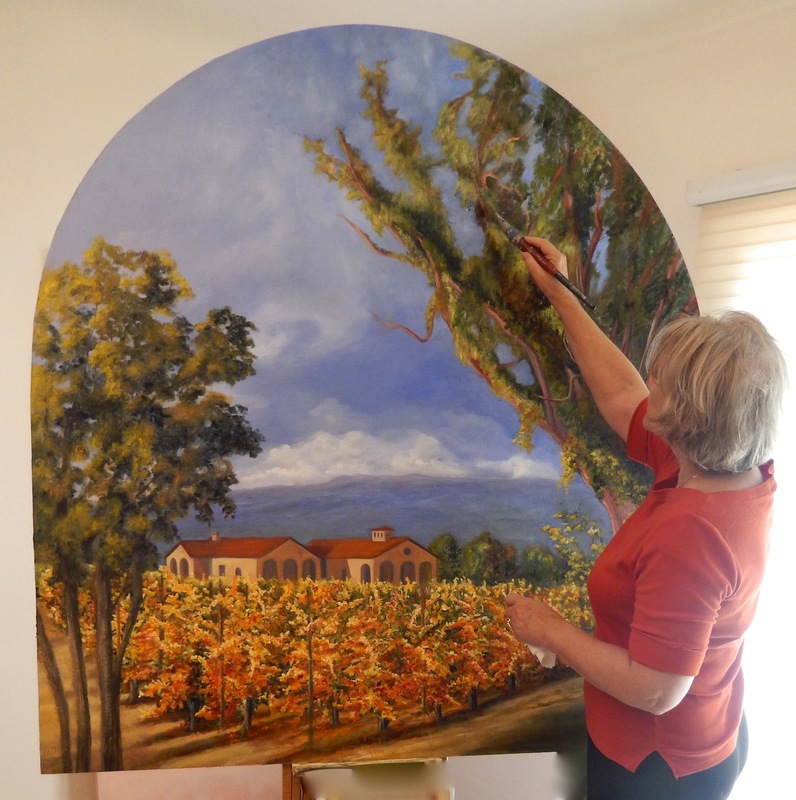 Below is a visual story of the development of an art piece for a family in Sonoma, CA. 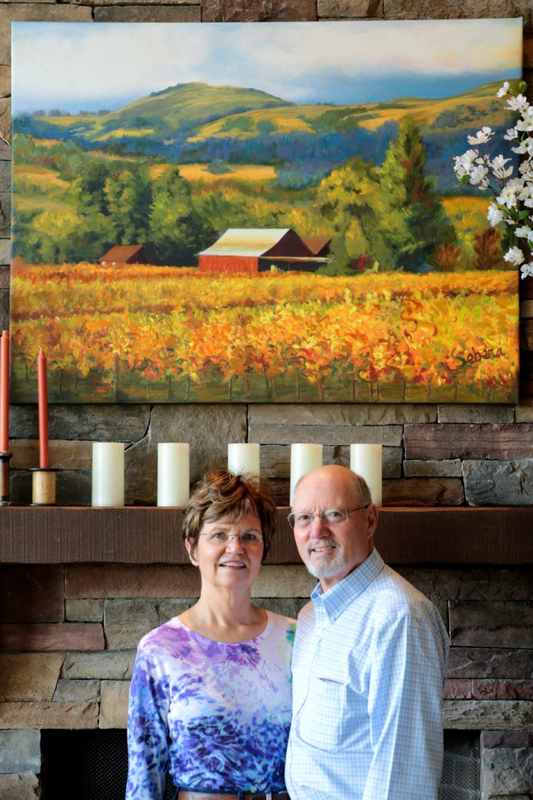 They wanted a large painting of their new home placed over the fireplace. 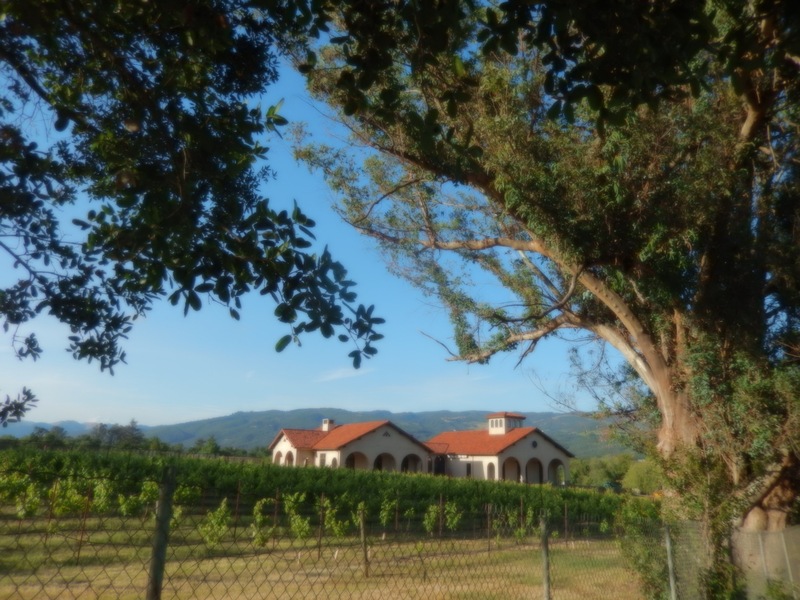 I went to their home to photograph their property which included a vineyard. The carpenters building the home cut a large plywood "canvas" to fit the arched mantel of their new fireplace. I worked to paint the 5' X 5' scene by raising and lowering the painting. What a thrill to see the painting installed in her new home. 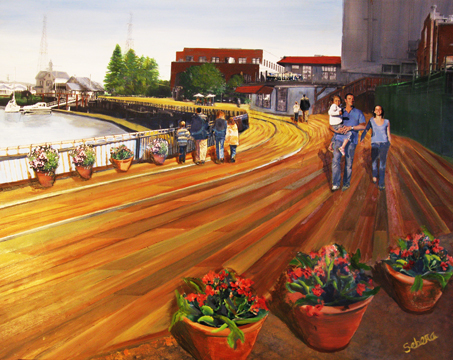 Peggy did a commissioned piece for The Trestle Renovation Committee of Petaluma. She painted the "finished" project ( a painting revealing how the Trestle would look after renovation). This was used in making an appeal for funding for the renovation of the Petaluma Trestle. Her work has appeared in the local papers. Peggy was raised in Texas in a family of artists. Her mother was a designer, painter, and jeweler. Both of Peggy's sisters obtained their degrees in Advertising Art and Design, while Peggy received a master's degree in Psychology. Growing up, Peggy had many experiences which pointed her in the eventual direction of becoming a landscape artist. The family was active and reflective. Peggy explored drama and outdoor activities including camping, hiking, and astronomy. She was an enthusiastic Girl Scout, earning many merit badges related to the study of nature. 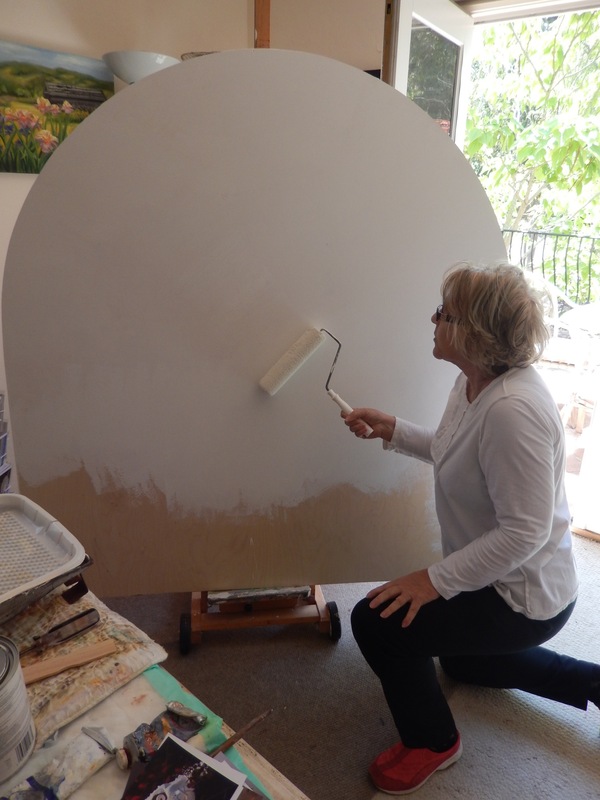 Peggy was comfortable spending many long hours observing nature, which she believes, today, has lead her to her passion for painting the earth and its landscapes. After raising a family, Peggy has spent 20 years as an organizational development consultant, coaching leaders and teams, in the US and Europe. This work is deeply satisfying as she develops significant relationships with the people with whom she works in both non-profit and for-profit organizations. While her daughter worked as an attorney in San Francisco, her son went into similar work as a Professional Coach. She continues to provide business and personal coaching to clients. She works from home and lives with her husband in Petaluma, CA. See the Event schedule for a listing of shows where you can see Peggy's work. 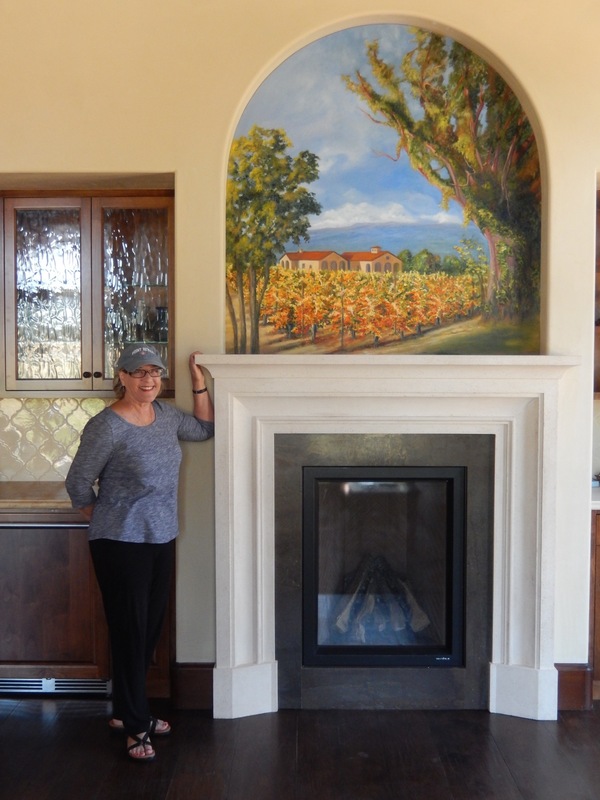 Peggy is an active member of the ART COMMUNITY in Sonoma County.